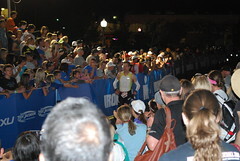 So maybe you have been following my journey as I train for Ironman Arizona and you want to follow the race as well. Well here is how you do it! I rented a GPS tracker so you can see every step of my bike and run. Just go here and look for Ironman Arizona. Find me (Rebecca Neumeier). You can also download an App for this site as well. The IronTrac App will let you see the data coming from my timing chip as I cross the mats. I think it costs $0.99. Make sure you understand that this app depends on the Ironman tracking system. If they are overloaded and having trouble reporting splits, this app will too. To find me look me up by #1261. 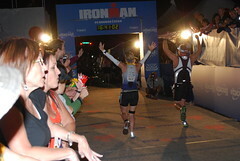 Go to Ironman.com and track me there. I can’t post a link to exactly the page because it won’t be up until Sunday. But here you can find me by number #1261. Once I get on the run it now gives you predicted finishing times as well. This is where you can watch the video feeds! The finish line camera is the best. I am hoping to finish between 11:30 and 12:30. You can also follow my day thru my Twitter handle @TriBeccaTO or thru Stuart’s @Quadrathon. The same handles apply to Instagram as well.